WIKIMEDIA, LANS8The last decade saw a precipitous decline in worldwide bee populations, possibly due to pesticide use, stirring concerns over the survival of plants and food crops without their most prolific pollinators. 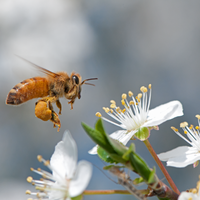 However, simulations in a study 2010 predicted that as some pollinator species decline in number, other species would pick up the slack and plant fertilization rates would be maintained. 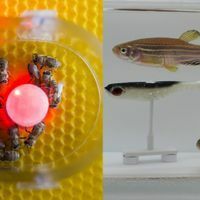 Now, a field study published Monday (July 22) in the Proceedings of the National Academy of Sciences demonstrates that removing a single bees species can actually have the opposite effect, making other pollinators more promiscuous and resulting in a 30 percent drop-off in seed production for at least one plant species. Normally, there is a monogamous relationship between pollinators and plants, ensuring that plants receive pollen from their own species. 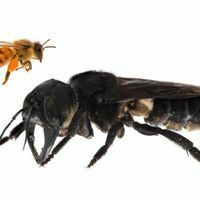 Environmental scientists Berry Brosi of Emory University and Heather Briggs of the University of California, Santa Cruz, used nets to capture bumblebees in 20-meter-square plots of land in the mountains of Colorado. 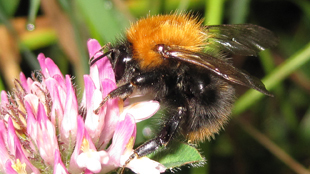 The bumblebees’ absence provided opportunity for the remaining bee species to cheat on their most visited plants, as evidenced by a 17.5 percent increase in the number of bees from other species found carrying at least two types of pollen. As fewer plants received their own type of pollen, seed production rates diminished by 30 percent in Delphinium barbeyi, a type of purple larkspur. “Our work shows why biodiversity may be key to the conservation of an entire ecosystem,” Brosi said in a statement.